New Weekly Events from Nexeus Fatale! Last weeks major news and announcements from me was the end of two weekly shows, both at both CSI:NY and The L Word both had run their course. This week I would like to announce two new weekly events starting this week! On Tuesday, I’ll host The Chillaxin’ from 6pm – 8pm PST (9 – 11pm EST). The Chillaxin’ will be focused around music you can groove to, downtempo, funk, soul, salsa, 70’s, 80’s, early 90’s. On Thursday, I’ll host the Thursday Night Dance Party (TNDP) from 7pm – 9pm PST (10pm – Midnight EST). TNDP will be your regular ol’ party anything goes! The Chillaxin’ and the Thursday Night Dance Party will happen at the high. in Second Life. If you would like to sponsor or host The Chillaxin’ or the Thursday Night Dance Party at your location, use the contact me page to send me a message or shoot me one within Second Life. 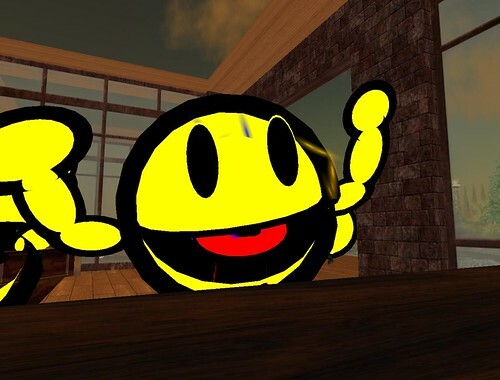 This entry was posted in Events and tagged Events, Second Life, the high.. Bookmark the permalink. 14 Responses to New Weekly Events from Nexeus Fatale! Hi! I’ve been following your web site for a while now and finally got the bravery to go ahead and give you a shout out from Lubbock Tx! Just wanted to say keep up the good job! Our college day is on September 20th and planning to conduct a dance party. Want to know the details and various programs included in the Thursday Night Dance Party. Hope you will consider me while sharing the next post! comfortable and stylish. The world is really shrinking and ideas are being shared around the globe at a rapid pace. Process of the acquisition of the knowledge is considered as the best and soft means for the students and individuals. It is recognized and promoted as the best and foremost goal of the students and individuals. good Once you include downloaded and setup bluestacks software in your computer, all you want to perform can be simply follow the below provided steps to download MSQRD for laptop / pc on windows/mac. nice. awesome installer as you will get best performance in it. If you are facing any problems in downloading this Droid4x offline installer file, then let us know about it via comments below nice. good the PC variation of it. Discussing the iphone version, it is fairly preventing to claim that this application is still not readily available for the apple iphone customers. nice. Excellent post it is definitely. My teacher has been looking for this info.